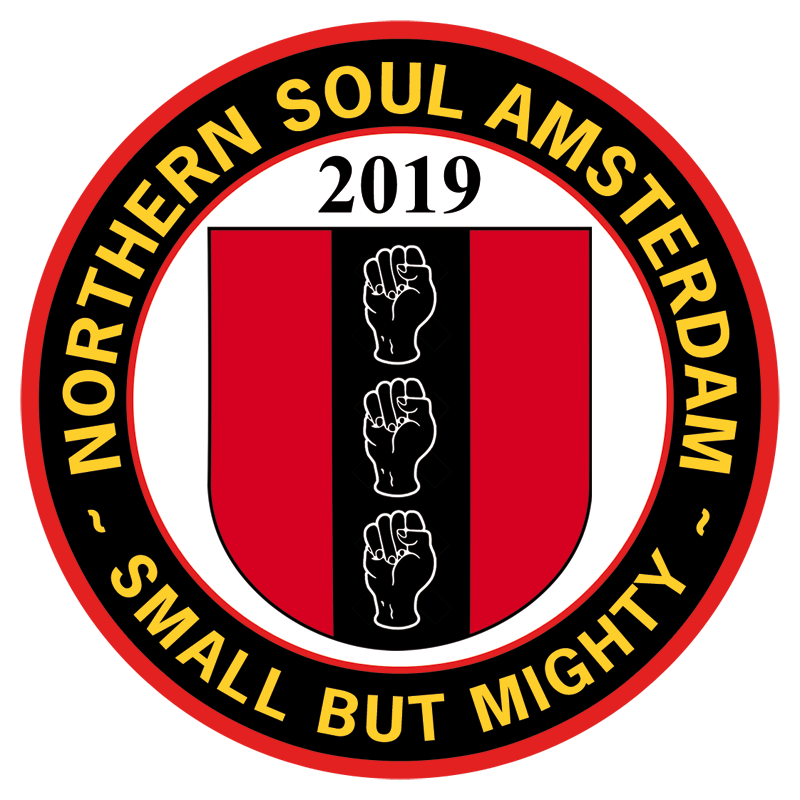 Northern Soul Amsterdam: small but mighty soul club nights in the heart of Amsterdam! 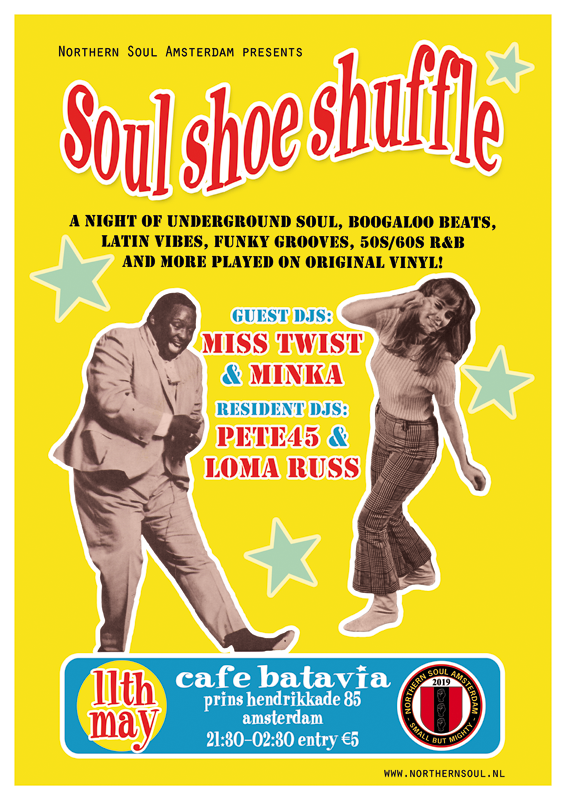 Regular club nights of Northern Soul, Motown, authentic R&B and more played on original vinyl at Café Batavia, right in the heart of soulful Amsterdam! 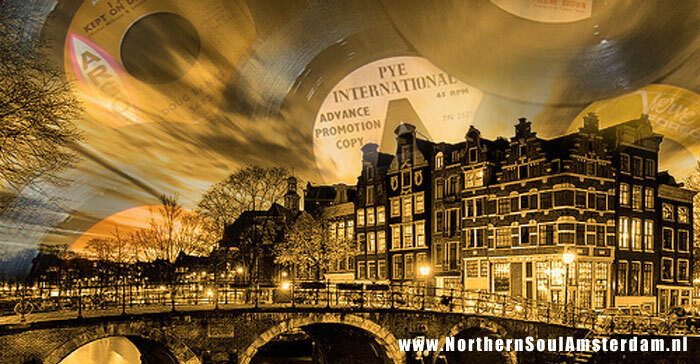 Amsterdam's small but mighty Northern Soul club returns on Saturday 11th May. The special guest DJs for our next small but mighty soul night in Amsterdam are Dutch legends Miss Twist and Minka. Expect non-stop, across-the-board soulful sounds guaranteed to keep you out on the floor! 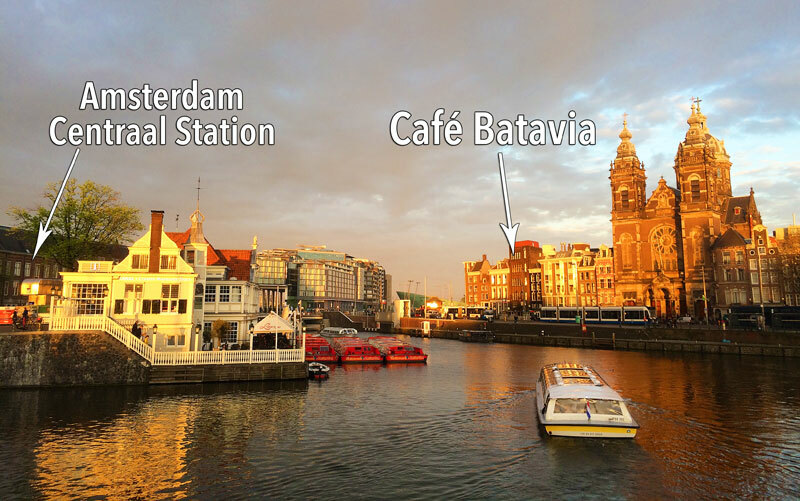 Our venue, Café Batavia, is in the heart of the city, just a couple of minutes from Amsterdam Centraal Station. A warm welcome awaits, so open the door and walk right on in. 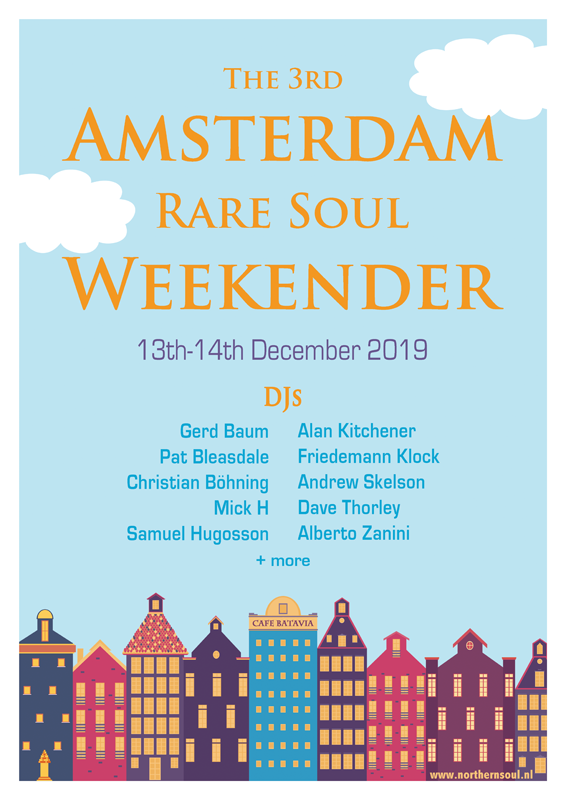 Amsterdam's Lost Weekend of soul returns for its third instalment on 13th & 14th December 2019. 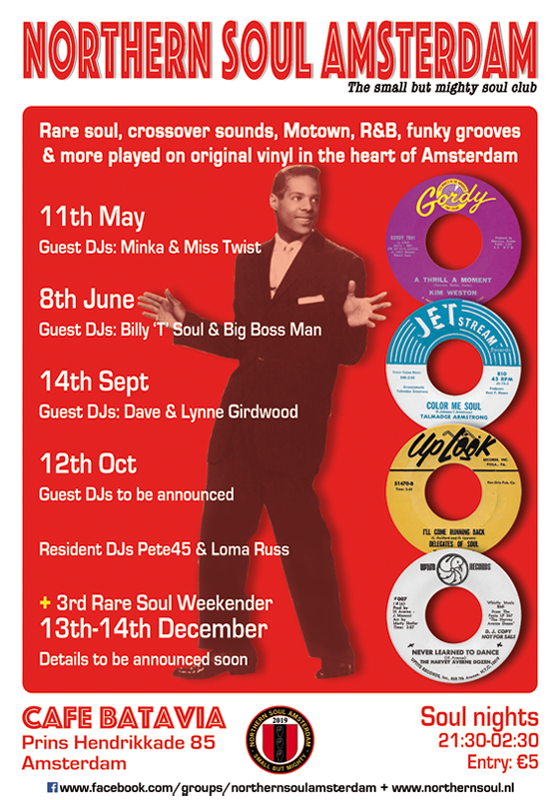 Following on from the fantastic success of our first and second mini rare soul weekenders, we're delighted to be doing it all again at Café Batavia in December. We've a top class line-up of outstanding DJs in place to ensure you have a truly memorable time in Amsterdam. Earlybird weekender wristbands are available at €20 p/person (offer ends soon and thereafter tickets are €25 p/person). Send payment via Paypal to rigilbert@lomarecords.com (if you are paying in Sterling or another non-Euro currency, make sure to pay the small Paypal currency exchange fee otherwise your payment will be returned). Wristbands will be available for collection at Café Batavia during the weekender. The Northern Soul Amsterdam launch event took place at Café Batavia on Saturday 12th December 2015. Café Batavia is a traditional Dutch “brown café” housed in a listed art deco building dating to 1920. The venue stands opposite Amsterdam Centraal Station and is just a few doors away from the impressive Basilica of St Nicholas, which dominates the station's skyline. Café Batavia has an excellent selection of bottled, draught beers and other beverages and serves great food until 21:30 each day. Café Batavia - Amsterdam's church of Northern Soul – as seen from Amsterdam Centraal Station. Welcome to soul city Amsterdam!